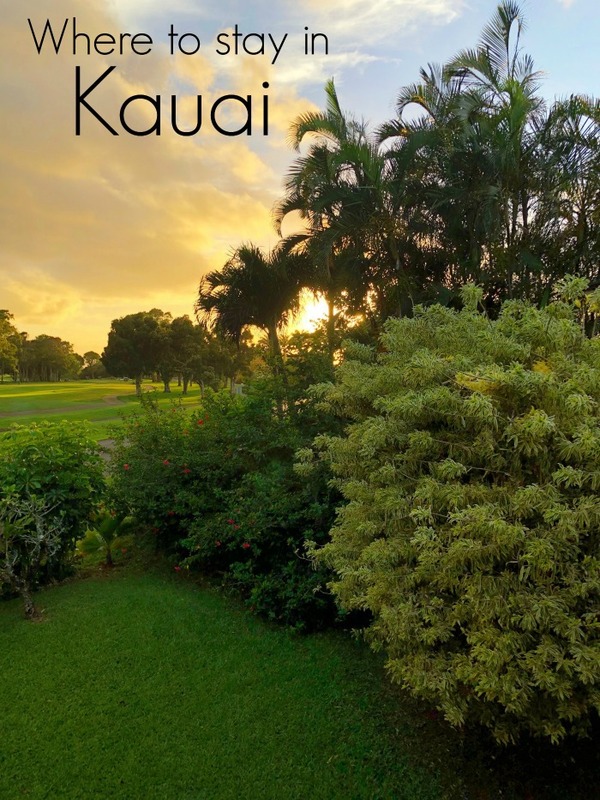 I’ve mentioned in the past how much we love renting a home while on vacation, and now I’m going to share with you where to stay in Kauai. As a family of 6, traditional hotels just aren’t a great option for our family. When driving cross country, we will squeeze in the best we, but when we go on a vacation we prefer home rentals. So when deciding where to stay in Kauai, a vacation rental was our first choice. We stayed in two lovely homes in Kauai. 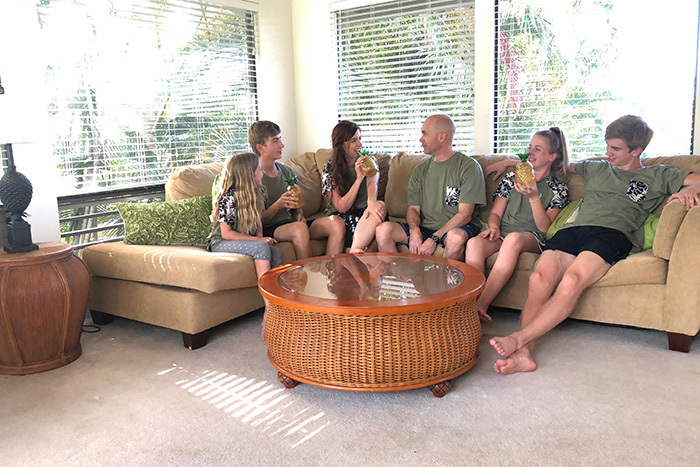 I’m going to share about both our North Shore Kauai home rental as well as where we stayed on the Kauai South Shore with you, so stay tuned! 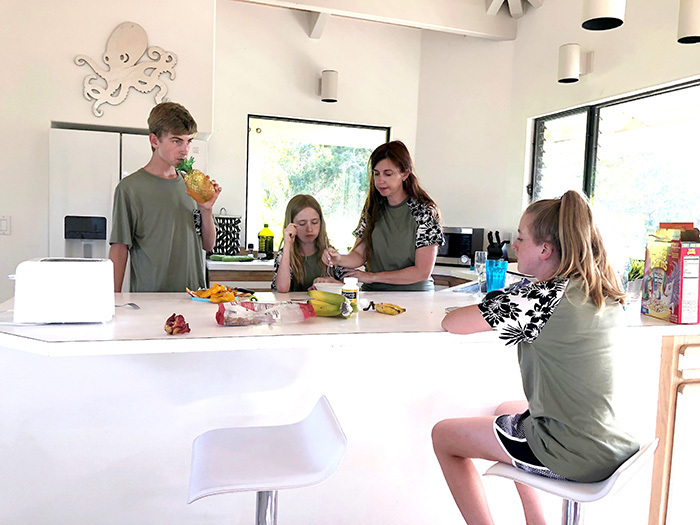 I partnered with HomeAway for this portion of our trip, and we absolutely fell in love with the home we rented on the Kauai North Shore in Princeville. The above sunset picture is from our home balcony. It was in a beautiful community, had some fun extra amenities, space for our family to stretch out, a lovely kitchen to cook our own food, and a fabulous family space to relax. What more could we want? I made a fun little video of the house, enjoy a tour! Below, the family room had a huge couch we all sat on to watch movies at night. 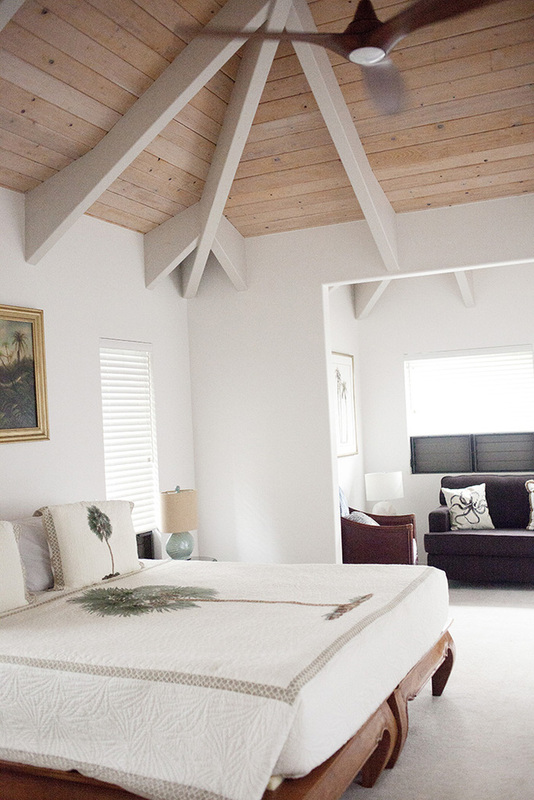 Below, the master bedroom, had a nice seating area, and even without the air conditioning, the fan kept it nice and cool at night. 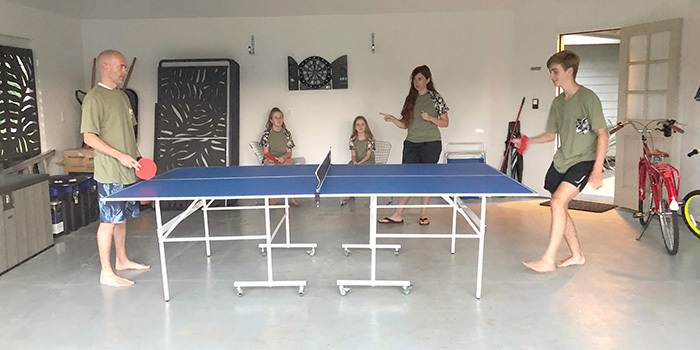 I LOVED the ping pong table in the garage, and my boys also played the darts on the back wall. 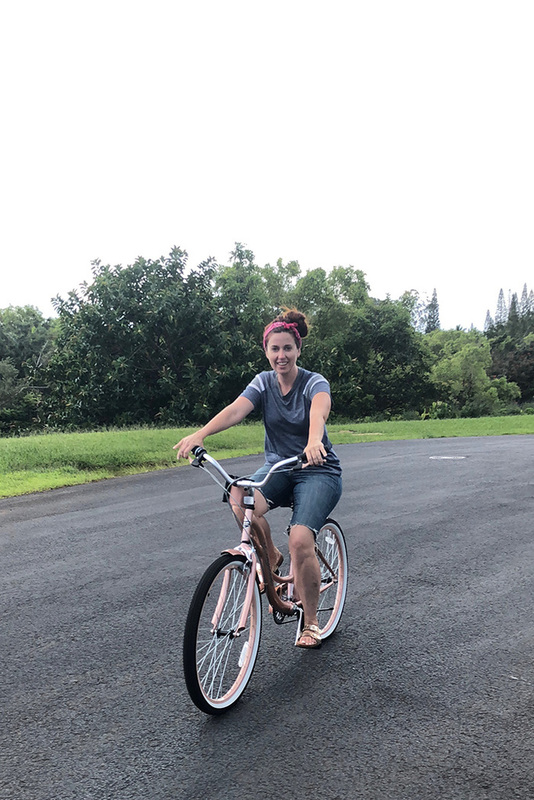 When looking into where to stay in Kauai, extra perks like these make it easy to decide that a vacation home is the blest place to stay in Kauai! 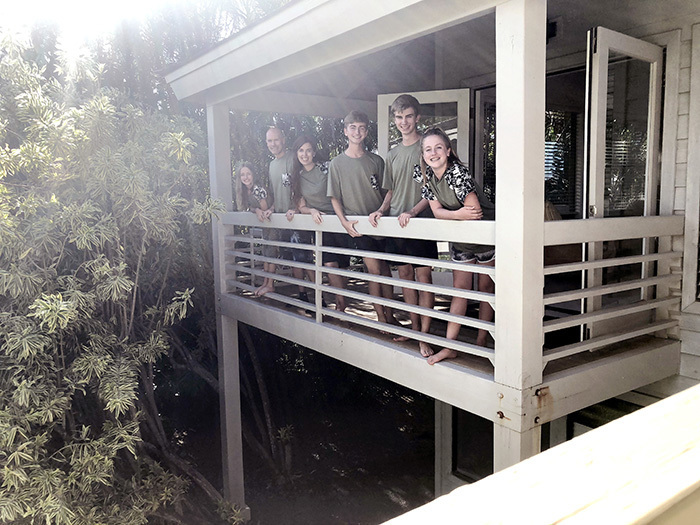 They call the outdoor balconies a “lanai” which is on pretty much every home, and so lovely and delightful to enjoy the outsides, sitting upon. I have to make a quick comment about our matching shirts. I kinda love them! 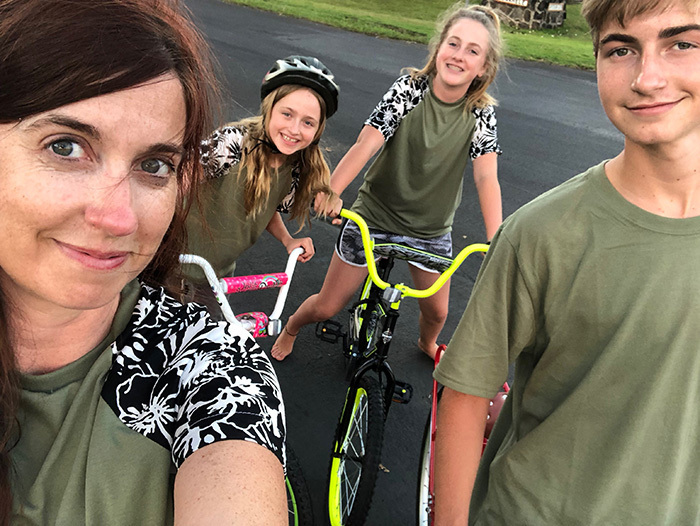 I bought inexpensive solid t-shirts, found some “aloha” fabric, and for the boys, they got pockets, and the girls got sleeves sewn on. Fun family shirts! And the garage had 4 bikes (and beach chairs, boogie boards) and the kids and I took them out for a spin, which was so delightful! The upstairs was so filled with light, which I LOVE, it was just so gorgeous. Have you rented a home on vacation as opposed to a hotel or condo? I highly recommend it! Disclaimer: I partnered with HomeAway for this post, but all opinions are my own.